Limited edition I-S 17th Anniversary OuterEdit tee. 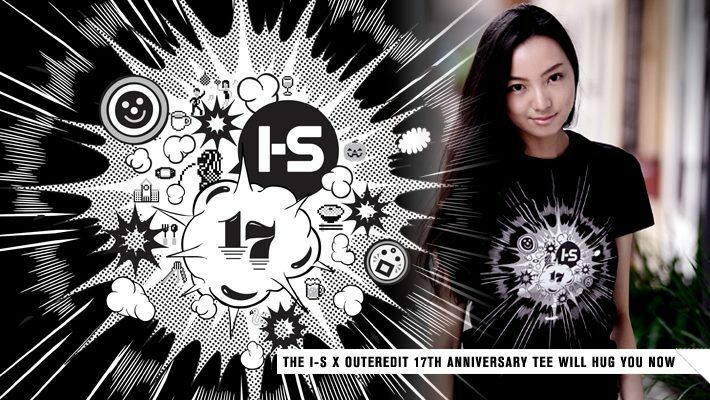 I-S Magazine & OuterEdit have joined forces to create a limited edition I-S 17th Anniversary OuterEdit Tee. They go for S$49 each, are available in both male & female cuts and are only available till 16 November 2012. Hurry and buy now before its way too late!